Here is an interesting little interview of Malcolm David Kelly who plays Walt. Nothing too shocking or major, but Kelly confirms that he is NOT on call for Season 5. He also says that he knows that something will probably “pop up” and thinks (hopes) that we could see him and father Michael via flashbacks. Crave Online: It was great to see you back on Lost finally. Malcolm David Kelly: Thank you, appreciate it. Crave Online: How was it to get back after all this time? Malcolm David Kelly: It was cool. I mean, just going back and going back to Hawaii and seeing everybody, all my friends and family back there. It was nice and amazing, I love it. Crave Online: So you had a reunion with the whole cast? Malcolm David Kelly: Oh yeah, oh yeah. The cast, every time I go out there, we go out and eat. Or every time I’m back in LA when we have a break like this, we’re all hanging out. Crave Online: Were you in a holding pattern just waiting to find out when they’d have Walt back? Malcolm David Kelly: Yeah, and working. Whenever they call me and let me know when they want me to come back, I’ll just go out there and shoot and come back home and keep working. Crave Online: Were you ever worried that so much time was passing? Malcolm David Kelly: Yeah, I thought they were either going to try to recast me or just kill me off or something like that. I’m grateful that I’m still on there. Crave Online: Damon Lindelof and Carlton Cuse told us they’d worked your aging into the story. Did they tell you not to sweat it? Malcolm David Kelly: No, they didn’t tell me not to sweat it. I’m still sweating a little bit but then when I found out I was my normal age, then it all worked out. Everything should be cool. That meant I should come back. Crave Online: Now that Lost has been on for a few years, can you appreciate it as a fan? Malcolm David Kelly: The show is great. There’s still nothing else out there like this show so that’s always amazing for TV and it’s amazing for me. Crave Online: When you finally got a script with Walt in it, how satisfied were you with where he was at that point? Malcolm David Kelly: I was glad and especially the age factor like we talked about. I’m glad I got to play my normal age so I wouldn’t have to change my voice like I’ve been trying to do and make it higher in scenes and everything like that. So that’s a pretty cool transition. Crave Online: How about his adjustment back to home life and his relationship with his father? 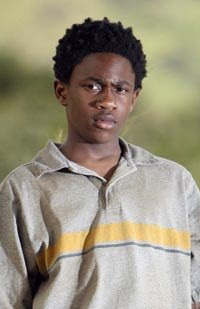 Malcolm David Kelly: I thought that was pretty cool but then my dad died on the show so I won’t be seeing him too much anymore, but I’m still going to see him in real life. In flashbacks, hopefully they give us enough where we still get to keep working together so I’m looking forward to it. Crave Online: Are you on call for the upcoming season? Malcolm David Kelly: No, not that they’ve told me so far but I know something probably is going to pop up. Crave Online: Because now we’re bouncing back and forth. Malcolm David Kelly: Yeah, we can go anywhere they want to with those writers.